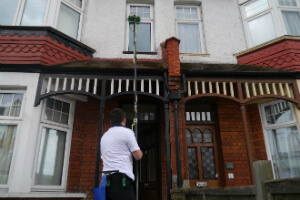 Dartford DA Office & Home Window Cleaning | Quality Property Care Ltd. Along with your professional windows cleaning, you can also book one or more other maintenance services and outdoor cleaning. By booking more than one service provided by the firm you will save a lot of time and money , and will get a total cleaning service at once. You can get professional gutter cleaning, patio or driveway jet washing, outside and inside conservatory window cleaning, gardening and others. However, for a full cleaning, you can order curtain cleaning and indoor windowns cleaning also. Indoor cleaning is done by hand with squeegees, safe and efficient windows cleaning method.So, you can get a perfect window and gutter cleaning, or only windows cleaning by booking the reliable and high-quality cleaning services of the company. Quality Property Care Ltd. performs with all kind of industrial properties, all kind of domestic properties and does it at very affordable rates. We add sticker removal procedure, if needed, as well as modern rope access window cleaning procedure for houses, buildings, blocks . Don`t forget to mention, if you need emergency or same-day service. 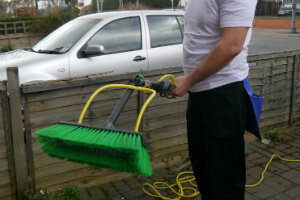 We are helpful and flexible , so we can arrange the home window cleaning service in a most convenient for you way. We work 365 days per year - no exceptions either for weekends or holidays. Re-scheduling is possible and Totaly free. Quality Property Care Ltd. offers commercial windows cleaning service and domestic windows cleaning to all businesses and residents in Dartford DA and the region. The window cleaning is done by very well vetted, trained and experienced windows cleaners, who use the telescopic water fed poles to first wash off and if needed scrub off the dirt, and then to rinse everything off. If the sills and frames are from PVC, they can be cleansed as well. The purified water contains no residue or minerals, so it is left to dry the natural way and leaves no stains or streaks. Plus, it helps guard the windows from dirt accumulation for longer. No ladders are used and no manual scrubbing, so there is no peeking inside your home or office by the cleaners. To book us give 020 3746 4287 a call where a crew of professionals is waiting to assist you anyway they could. Call us for free at the given number to get info to questions and book the best cleaning support in London.